The wolf does not belong Scandinavia, if we believe a small but influential group of people. It is regarded as a pest, a species that should be black-listed and even exterminated. In fact, the Scandinavian wolf population is facing severe pressure from hunting. And hunting wolves is something that the EU has very strict regulations for. Under very specific conditions, it is legal to shoot a wolf in any country. In most cases, these conditions do not even closely meet the requirements. Then why do Norway and Sweden continue killing wolves? And how likely is it that EU countries, wanting to follow this hunting regime, will find a way to kill wolves as well? We all know the old story tales on Little Red Riding Hood, her Grandmother and the Big Bad Wolf. Fortunately, people also realise that the wolf is not such a bloodthirsty animal. However, a modernised version of the mythical wolf has been put forward by hunters, farmers and politicians to create anxiety. It is the wolf that eats young boys and girls on their way to school, playing in the forest, or in the kindergartens. A new version of the Big Bad Wolf, which is used as a political argument and has nothing to do with actual wolves anymore. Wolves can wander up to 70 kilometres a day, when searching for a new territory. As an efficient hunter, taking the most easy route is a clever choice when doing so. And the most easy routes are human-made paved or gravel roads, of course. This is also the reason why you have a good chance of finding wolf scats on the road, when you find yourself in a wolf territory. But following roads means that wolves eventually also end up near human settlement. On purpose? Not really, they just want to find a suitable place to start a new family. Humans are simply not interesting for wolves, neither are children. Nevertheless, there is a demand to implement a comparable hunting regime to the Finnish, Norwegians and Swedes in EU countries. Finnish wolves suffer from human fear, based on fake news. Norway is currently killing half of its wolf population, despite international protests. Also Sweden allowed annual killing of individuals in the past, and is currently looking for a better solution. Nevertheless, the several thousand registered Swedish hunters can kill 22 wolves this season. The German wolf population is already bigger than the Scandinavian one. 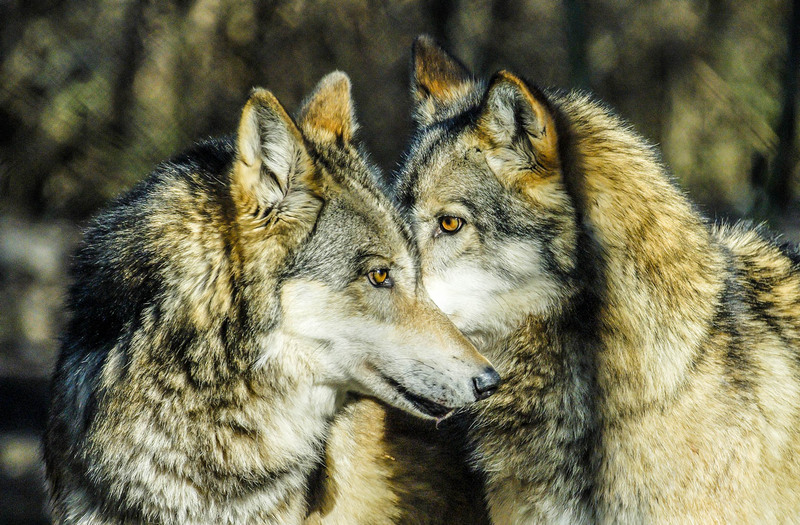 So German wolf-opponents want the annual culling of wolves also on German soil. Because of the strictly protected status of wolves in the EU, one of the critical issues is the favourable conservation status. This status means that the population is large enough to ensure survival over a long period of time. This is simply not the case in Germany (or other countries demanding the killing). And if the status is reached, killing will never exterminate the wolf, as Scandinavia shows. It would increase the chances of illegal poaching, which would threaten the conservation status even more. So why does Scandinavia continue the killing of wolves? Sweden allows wolf killing, even outside the hunting season, when wolves pose a risk to humans and livestock. In addition, the country determined a favourable population size at 300 individuals. Furthermore, traditional reindeer herding of the Sami resulted in wolf-free zones in Lapland, a major area of Scandinavia. Norway counts also some Swedish wolves when setting hunting quota. These quota are thus always too high and pose a big risk to extermination of Norwegian wolves. Even a lawsuit in Oslo was issued to stop the hunt, without effect. The simple answer is no. Hunters, farmers and politicians will continue to create panic and use the wolf as a political tool to pressure for hunting. The political wolf will further divide rural versus urban people, traditions versus modernisation, and hunters versus environmental protectors. The only way forward is for people to adapt to the new conditions, to ensure a sustainable coexistence. This means, implementing proper livestock protection measures, while promoting proper education and training. Just to make things clear, this years wolf hunt in Sweden is already accomplished. 15 wolves were shot of the 22 that were allowed. Several were severely affected by mange and in some territories the hunters had a hard time tracking down any wolves at all. The coming season the wolf hunt in Sweden is cancelled by the Epa since the wolf population is declining for the third year in a row.